Need help? 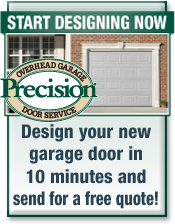 Get a Free Estimate on New Garage Doors by calling Precision Garage Door today! Free estimate offer does not apply to openers or repairs. Directly below, you will find an outline of these 3 steps to help you learn the pros and cons of each style. In a very short time, you will have figured out the perfect door for you. It will only take a few minutes, but don't rush! You will have the door you choose for a long time, and this page will help you find the one that's best for you. #1: Which Is The Best Garage Door? The best garage door is the one that most closely meets your needs. In addition to the above styles, you may also consider doors that are unique and offer options to match your home's design. These doors can reflect styles from the old world doors, with decorative hand-forged hardware and architectural glass options. They are also available in options such as Swing Up, Swing Out, Accordion and Bifold. Custom garage doors offer many architectural styles to complement your home's design. #2: How Well Do I Understand the Warranty? 3: Which Garage Door Company Should I Buy From? At Precision Garage Door, we want your business and are willing to work hard to get it. 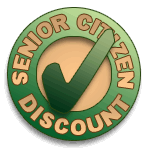 When you choose us you can be sure, we are prepared to do an exceptional job. 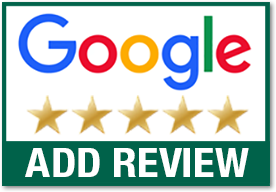 Call today for a free new garage door estimate!